Recently, there has been a rapid increase in using healthy alternatives in the kitchen. One of the most popular items being coconut oil. When I first started using coconut oil, I was hesitant on completely switching due to a few misnomers I believed. For instance, I believed that I could only use it in sweet things because, in my mind, I correlate coconut with sweet. Since I started using coconut oil, I have been able to incorporate it into almost everything I make, even in my meats such as chicken, or lamb. Not only do I use it in all my recipes (even coffee) but I also use it as a multi-purpose item in my beauty regime. This magic oil comes as a creamy substance, but when heated, it turns into a liquid. This is convenient for a plethora of reasons, the greatest: making it easier to apply. The above video is by blogger Lee From America. She is the coconut oil queen and has been using it for years as a substitute for many things. In the video, she shows you one way to apply a coconut hair mask. If you don’t have time to let it soak, you can also bring it into the shower. Take a bit into your hands and rub them together. This will turn the coconut oil into a liquid, making it easier for your hair to soak it in. After shampooing your hair, massage the oil into your hair. For the full effect, let it soak in for five minutes. When the five minutes are up, simply rinse it out, and continue with your routine. Not only will this add moisture to your hair, but will also add a shine to your locks. Anyone else not the biggest fan of shaving cream? It always leaves my legs feeling itchy & dry post-shower, which is not what I want. Because of the gross after effect, I started using conditioner to shave instead of shaving cream but recently switched to coconut oil. The coconut oil leaves my legs feeling moisturized and soft, a very different effect from shaving cream. Another perk of using coconut oil is the ability to dry shave. You simply apply the oil to your legs, go about your shaving, and then rub the remaining oil into your skin. You not only shave but moisturize your skin at the same time. One of my best friends spends around $20 a month just on lip care. It’s not a lot of money in the grand scheme of things, but when you realize it’s just one part of your face that you are taking care of, it adds up. I never really got into ‘lip care’ until I started using coconut oil. I actually ordered a small container from Amazon to keep my coconut oil in my purse, that way I never have to worry about not having it. Unlike other lip balms, the antioxidants naturally healing chapped lips, and unlike other lip balms, does not create a never-ending cycle of chapped lips. The natural antioxidants in the oil make for a great anti-aging supplement. I love using this under and around my eyes because I know it is natural. I am extremely careful what I use on my skin, because of the absorption of the pores. A lot of companies will argue that they only use natural substances, but when you actually look at the ingredients, often times this is not true. With coconut oil, you know what you’re getting. If your coconut oil is natural and organic, your skin will be thankful. This is actually one of the nicest additions to my makeup routine. One of my biggest pet peeves is actually makeup. Not because I don’t like wearing it, but because of the damage it does to my skin every day. Every time I put on makeup I can feel my pores screaming due to the chemicals filling my skin. Even taking off my makeup with remover is a bad process for me. Coconut oil changed my life when it came to my makeup regime. It allows me to wear makeup and not worry as much about my skin and the possible repercussions that come with wearing it. It also makes it easier to transport, and use whenever needed. This has become a post-shower routine for me. Once I get out of the shower, I apply a small amount to my skin and let it soak for a little bit. It softens my skin immensily and keeps it nourished. Yes, your skin needs nourishing! One of my friends actually recommended this to me a couple months ago, claiming it fixed her problem with her peeling cuticles. I can also attest to this after using it for two months now. I used to use Vaseline on my cuticles, but I must say that coconut oil has worked better than Vaseline ever has. This is also an easy process because you can simply rub it into your hands as you rub it into the rest of your body. I challenge you to try these simple beauty routines. It allows your routines to be more efficient, and fiscally responsible at the same time. 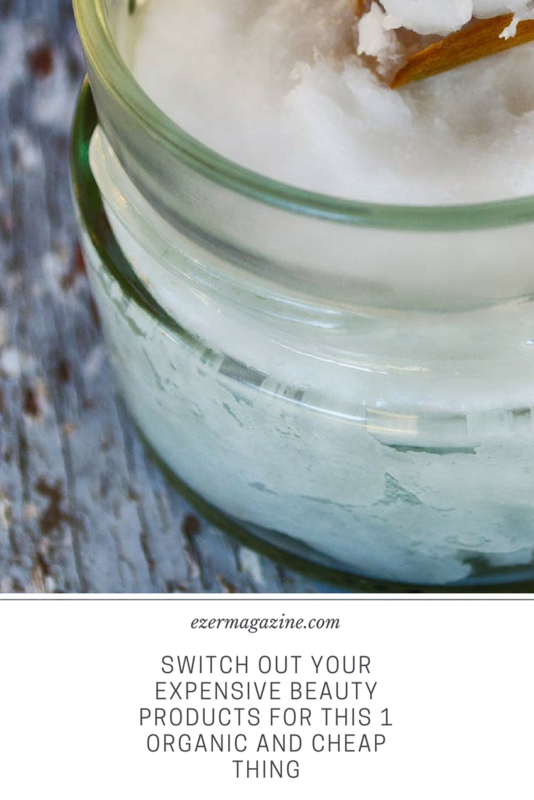 There are countless other ways to incorporate coconut oil into your beauty regime!